The Fine Print: Key-holders will receive free box engraving + free delivery on all online orders using an exclusive promo code. Promo code is exclusive to key-holders. If you have not received the promo code and you are a key-holder, please email us at info@torontocitykey.com. Nicaragua has long been recognized for its fertile, volcanic soil that, coupled with a warm, Caribbean climate provide for ideal growing conditions. Add in time-honoured care and nurturing, and the result is a smooth, even-bodied smoking experience. Mombachos begin their journey in these fields, nestled in the shadows of Nicaragua’s many volcanoes, where only the finest leaves are carefully hand selected. All tobacco is aged for a minimum of two and one-half years before being expertly blended and rolled into supple cigars. 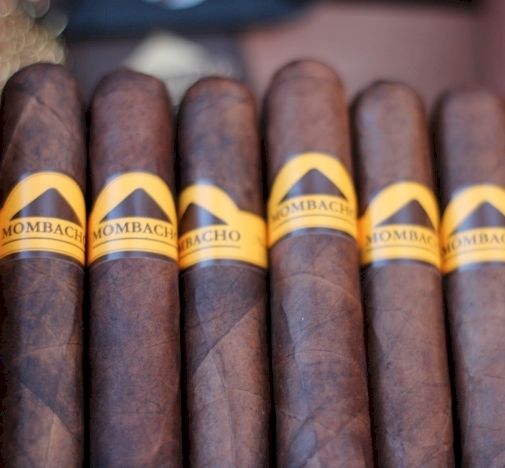 In honour of age-old tradition, the foot of each Mombacho is then finished with a touch of uncut leaf, sealing in natural Nicaraguan humidity and protecting your cigar along its journey. The Mombacho smoking experience yields a smooth, medium-bodied taste that is the result of an age-old family blend, a secret recipe safeguarded by the Cigar Master himself.